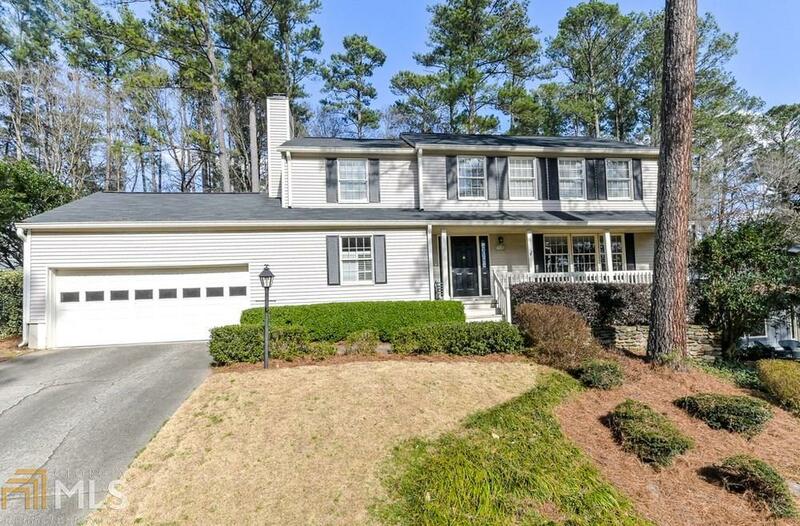 Great Martins Landing location with tons of amenities such as 53 acre lake, easy access to the Chattahoochee River, playgrounds, 3 pools, 15 tennis courts, fishing, walking & biking trails, newly renovated Clubhouse and can walk to the Elementary school! 4 bedrooms & 2.5 baths, den with wood-burning fireplace, built-in bookcases and hardwood floors. Living & dining room combination flows into the large eat-in kitchen. Access off kitchen & den to large private backyard and patio. Great potential for gardening, grilling and entertaining family and friends year round.